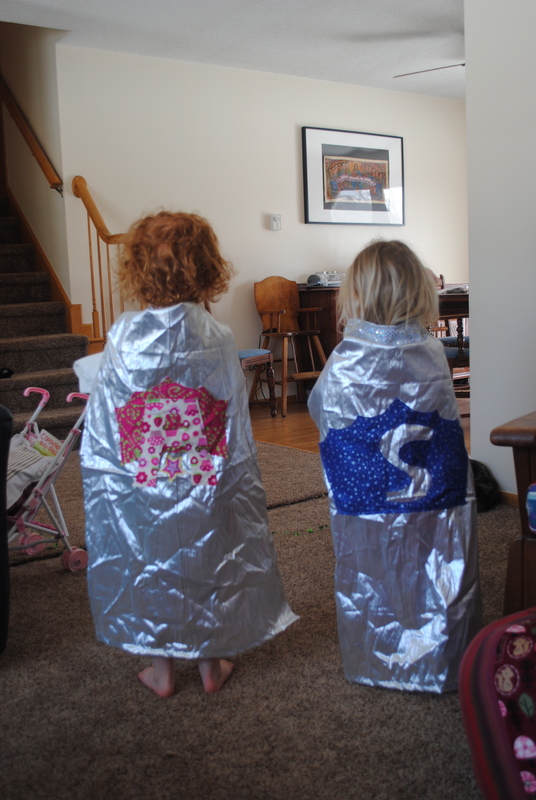 There was one morning when we didn’t have ECFE to occupy us so to make morning a bit more eventful we made super hero capes. 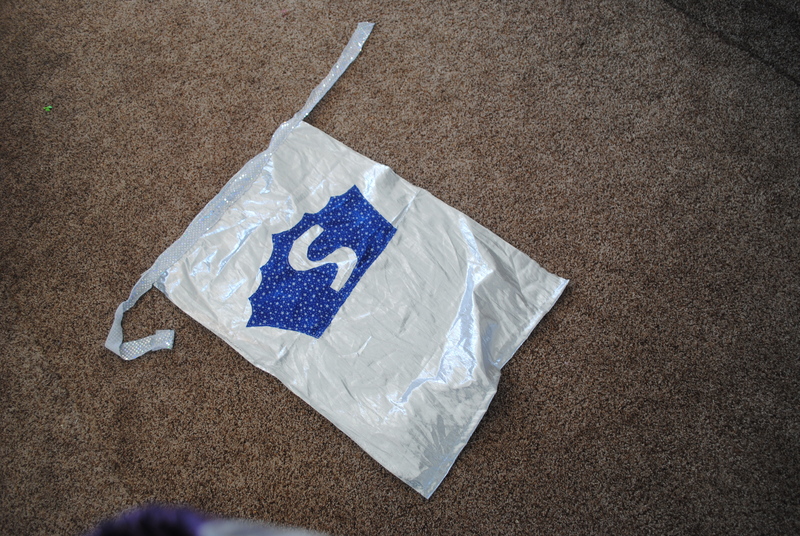 I was looking through my fabric and found this silver/shiny stuff. Pretty out-there huh? I love having a solid stash of fabric that meets most of my random needs. 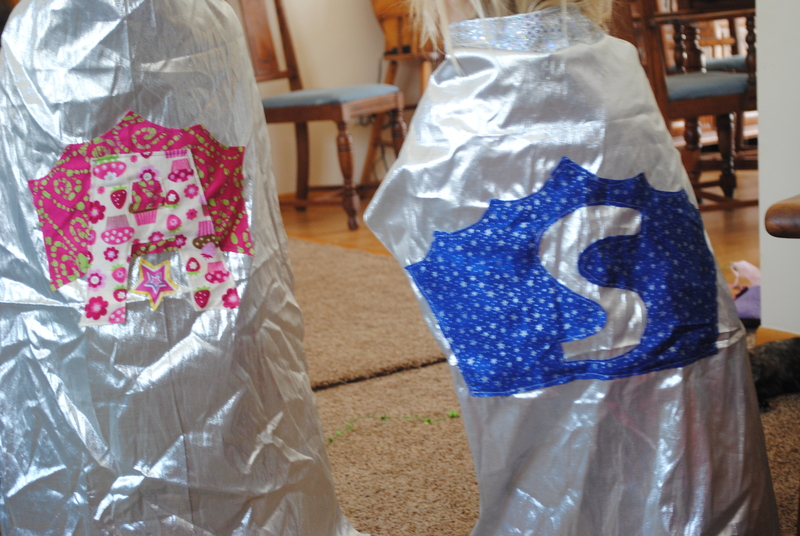 Aleah and Sophi chose the fabric for the letters and crowns on their capes. 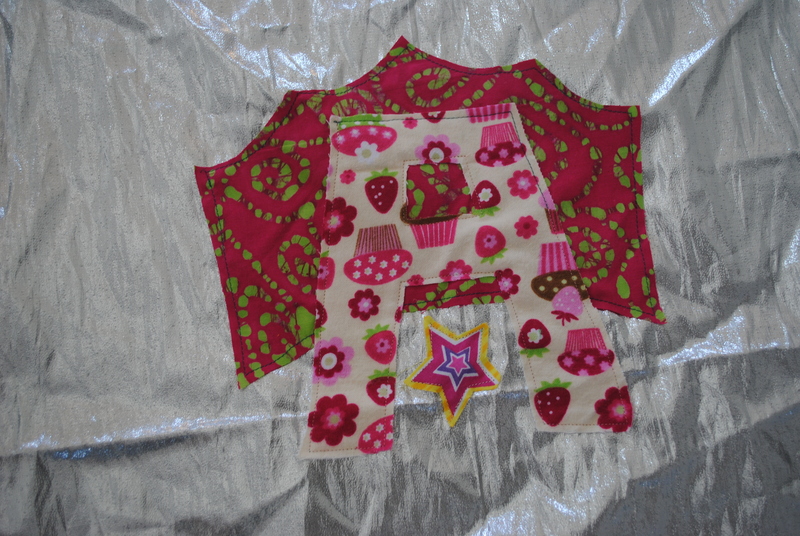 Aleah loved the cupcake fabric and needed to have the star below her A too. 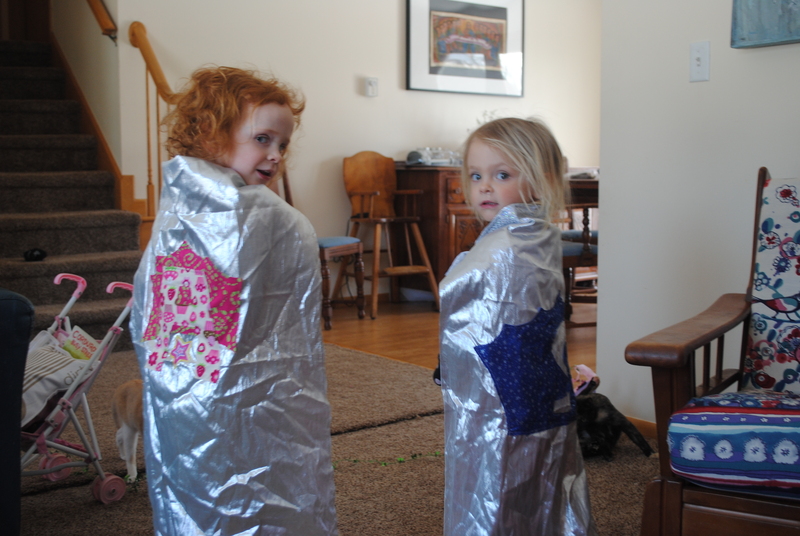 Whenever they put their capes on they run all over the house. 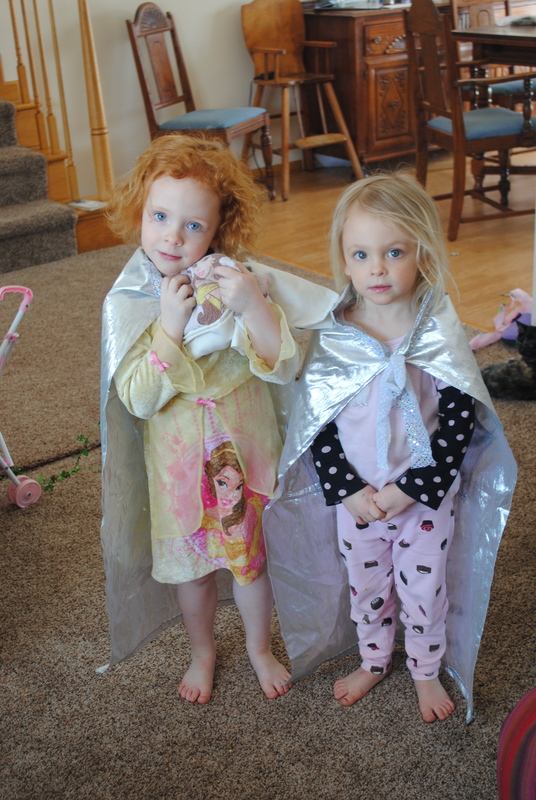 What fun is a cape if it’s not flowing in the breeze. Very cute! Super crafty! I think I might actually have to make a few with my girls.